"CAROUSEL" Returns to Cinemas for 60th Anniversary! Fathom Events and Twentieth Century Fox will bring Rodgers & Hammerstein’s classic movie musical CAROUSEL (1956) back to cinemas nationwide in over 400 theaters for a special two-day event on Sunday, January 8th and Wednesday, January 11th. 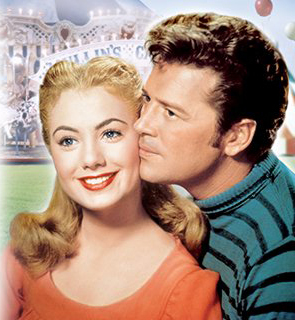 Gordon McRae and Shirley Jones star in this cherished Rodgers & Hammerstein classic set in a beautiful seaside village. After tragedy strikes, Billy Bigelow (McRae), a smooth-talking carny man, makes his way to Heaven, then back to his wife (Shirley Jones) and daughter for one day of love, solace and redemption, in one of the most unique and powerfully uplifting musicals ever written. 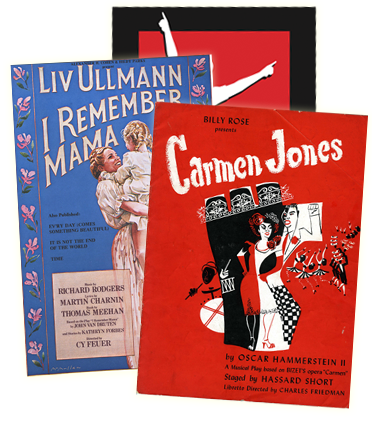 The 60th Anniversary screening of “Carousel” will also include a special exclusive interview between Shirley Jones and the President of Rodgers & Hammerstein, Ted Chapin.